A different kind of worship designed to bring families and children together in fellowship and prayer. The service includes modern worship songs and talks accessible to a younger audience to bring to communion all who wish to receive. Learn about the Gospel through fun games, arts and crafts. We often use www.rootsontheweb.com to plan our sessions which are run by a team of volunteers. 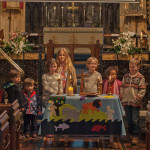 Junior Church takes place either in the vestry or in the parish centre – a Welcomer will direct you. Thursdays, 10.15am, church; followed by coffee & playtime in the Parish Centre. 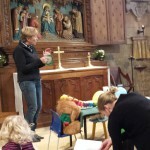 A short church service for babies, toddlers and their carers followed by refreshments, play and songs in the Parish Centre. Children as young as 8yrs old can join the choir and receive excellent musical tuition and opportunities. 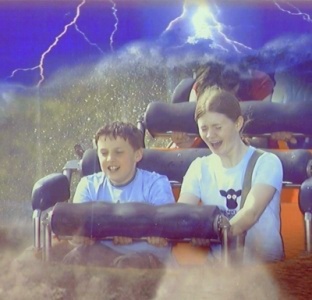 Members of the choir also enjoy social occasions such as the annual trip to a theme park, bonfire night party, and summer BBQ. For more info contact music@stmarysck.org.uk or see here.